Love creating your own creation? 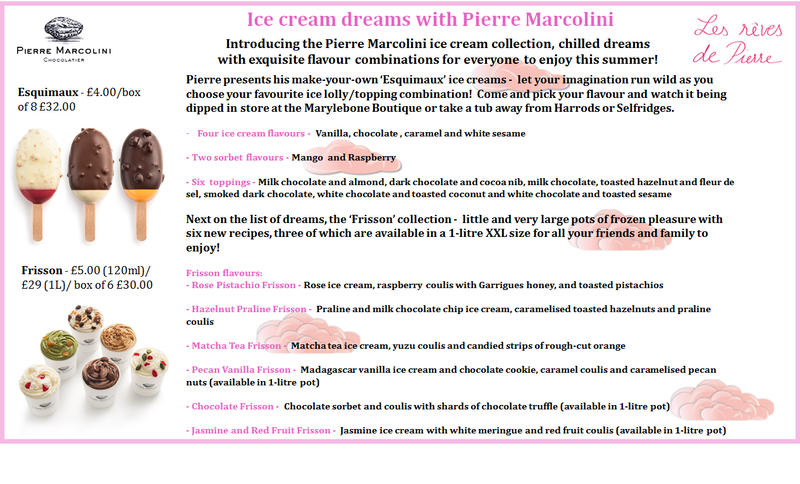 Then a visit Pierre Marcolini chocolate shop or his icecream stands that can be found in various locations. Thanks to Pierre Marcolini who let one of the community of Love Pop Ups London come down to experience one of his pop up icecream stands and for letting me come along to a special preview event of his latest season chocolate selection for Winter. Get the link to their blog from the comments section below. Read and watch my experience at the Pierre Marcolini pop up ice cream shop on Marylebone High street here: http://whatskatiedoing.com/food/pierre-marcolini-pop-ice-cream-shop/ this is definitely one for adults and definitely perfect for the hot weather!